We provide top quality furniture at the very best prices across the North of England. Our stock is of first rate quality. A variety of tables and chairs ensures there is something to suit all. Whether it’s to one of the country’s best known arenas, or to your own front living room, we are certain we can help at affordable, competitive prices. Dale Event Hire is a family owned business based in Rochdale, minutes away from the centre of Manchester and the motorway network. Perfectly located to serve the North of England, including Greater Manchester, Lancashire, West and South Yorkshire, Cumbria, Derbyshire and Merseyside. We supply furniture for massive conferences and exhibitions at venues as diverse as Manchester Central, Event City, Salford Cathedral, through to Doncaster Racecourse, Ripley Castle, to dozens of sports centres, local councils, health authorities, weddings and even small family birthday parties. 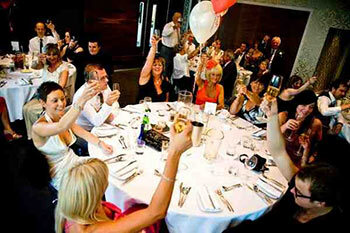 “Thank you so much for the tables and chairs at our wedding at the barlow on Sunday. You guys were a real pleasure to deal with. Very easy going and delivered exactly what we wanted at exactly the right time! We left your details with the Barlow for anyone else who needs chairs and tables.